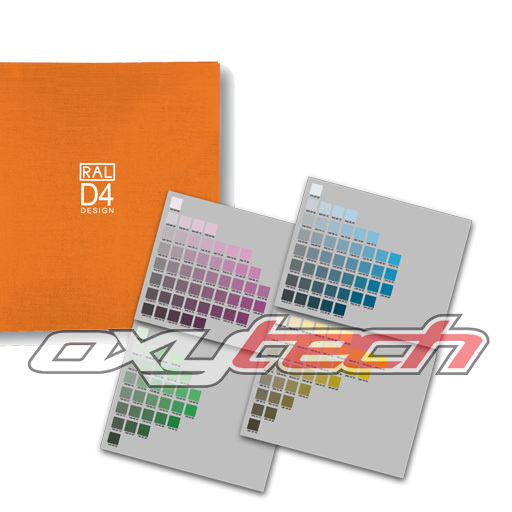 The colour atlas RAL D4 is the basis of the RAL DESIGN system and shows all 1,625 colours as original coating patterns. The foundation of the RAL DESIGN system is the the CIELab colour space, which is internationally used since 1976 and in which the colours are arranged according to hue (H), lightness (L) and chroma (C). The measurement values of the colour features HLC lead to the seven digit number of RAL DESIGN colours, for example RAL 260 30 40.